In order to facilitate the study of Keylonta in the Russian language, we’ll be recreating some of the (now iconic) images and producing new ones. If you notice any inaccuracies or have suggestions regarding translations or graphics, please let us know. 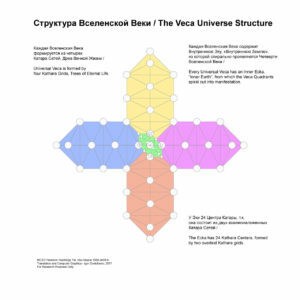 Каждая вселенная формируется из четырех Древ Жизни / Universal Veca is formed by four Kathara Grids, Trees of Eternal Life. Каждая вселенная содержит внутреннее Древо, т.н. «Внутренняя Земля», из которой разворачиваются четверти вселенной / Every Universal Veca has an Inner Ecka, “Inner Earth”, from which the Veca Quadrants spiral out into manifestation. У внутреннего Древа 24 узла, т.к. 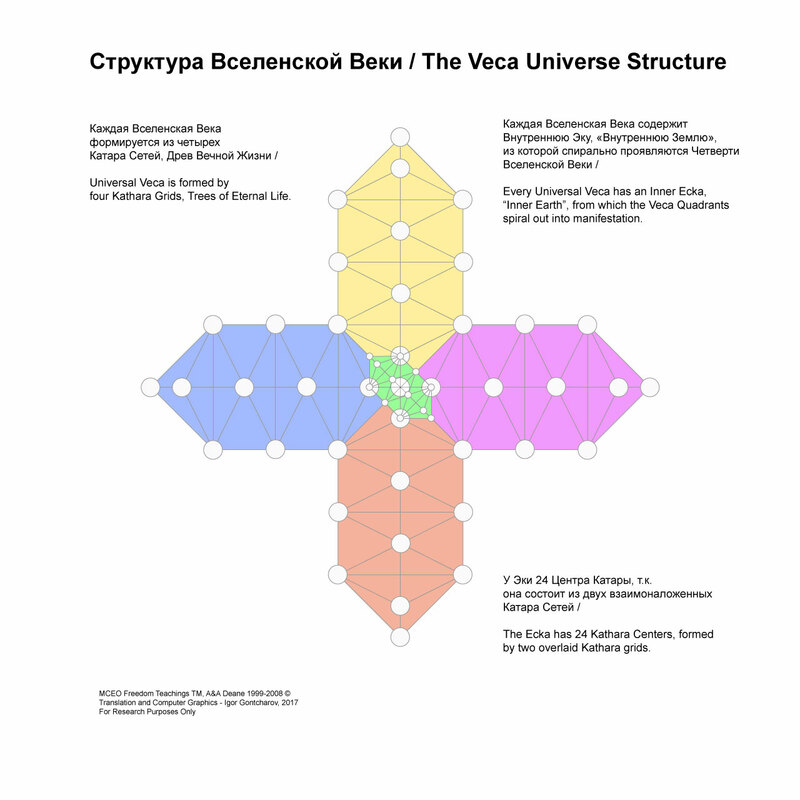 оно состоит из двух совпадающих Древ /The Ecka has 24 Kathara Centers since 2 Kathara grids overlaid on each other, 12 Centers are in an upper Kathara Grid and 12 are in a lower Kathara Grid. Previous story New WebSite Dedicated to the Study of the Languages of Light and Sound – Opening Soon!